If you think the spirit possession was scary, you should see the capital losses people take on this problematic property. Seventeen years ago, the Anderson family vanished under mysterious circumstances, only leaving behind a shell-shocked sheriff’s deputy as a witness. Unaware of the property’s history, a single mother and her emotionally stunted little boy have moved in, hoping the mountain air will be healing. Their young nanny knows better, but she keeps coming to work because the “recovery” was particularly soft in those parts. 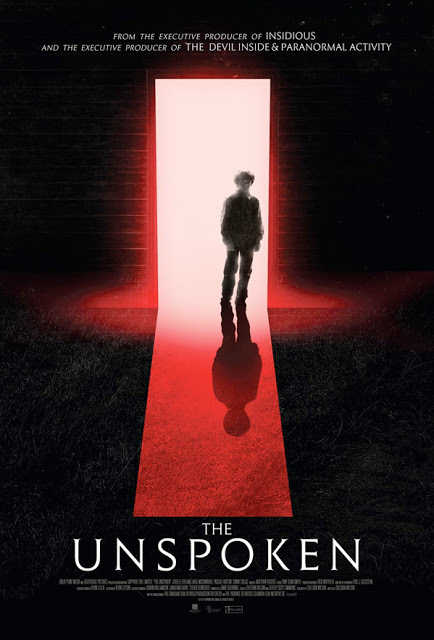 You largely know where things are going from here, but screenwriter-director Sheldon Wilson adds elements of the home invasion thriller for extra added menace in The Unspoken (trailer here), which opens today in New York. Poor Angela’s life kind of bites. Her mother also perished under dubious circumstances around the same time, leaving her with her structurally-unemployed father. She is pseudo-romantically involved with the closeted Pandy, who constantly spurns her to keep up appearances with her meth dealing friends. To help make ends meet, Angela takes a job minding the charmlessly sullen Adrian, who hasn’t talked since his father died. Of course, things start going supernaturally haywire, but Adrian’s mother Jeanie is never around to see it. Perhaps even more ominously, Pandy’s townie pusher pals are rather put out by the prospect of losing the old Anderson place as a stash for their drugs, especially since they did not have the chance yet to retrieve their latest and biggest shipment. They intend to break in and settle things Wait Until Dark-style. Oddly, Unspoken works better as home invasion horror rather than a haunted house movie. Yet, all the (admittedly limited) payoff relates to the uncanny storyline. Frankly, the big twist follows very much in the tradition of Alistair Legrand’s The Diabolical, but the Ali Larter vehicle was superior in every way. Even though many of the conventions Wilson recycles feel stale, the performances are surprisingly fresh. Whether it was the plan or not, Jodelle Ferland (Twilight, Silent Hill, The Tall Man) is carving out quite a niche as a modest and reserved scream queen, which continues with her work as Angela. Frankly, it is impossible to resist taking a strong rooting interest in her. 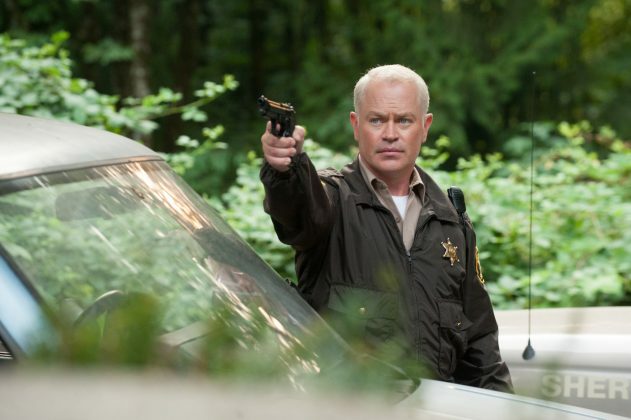 Once again Neal McDonough and his authority figure presence inspire plenty of confidence, but he just doesn’t get enough screen time as Sheriff Bower. Anthony Konechny, Jonathan Whitesell, and Jake Croker are suitably creepy and destabilizing as Pandy’s drug-pushing pals. However, the less said about the young boy, the better. There is no question the scariest scene of Unspoken is the prologue. It is nice that it is so well executed, but it inevitably puts the rest of the film on a downward slope. A mixed bag really just recommended for horror genre diehards, Unspoken opens today (10/28) in New York, at the Cinema Village.